After dealing with an excess of clutter for years, I wanted to whip my house into shape. So, I decided to tackle the KonMari method of organizing from Marie Kondo’s The Life-Changing Magic of Tidying Up. This post is all about the best way to organize paper files using KonMari’s organization method! Psst: Don’t forget to read all the way to the end of this post for more organization tips + tricks and a FREE organizing e-book and KonMari Method Checklist! I’m a pretty organized person. However, one area I have always struggled to keep organized is paper clutter. Junk mail. Bills. Forms. Paper. It’s the bane of my existence. Thank goodness she’s on my side because I am a master of throwing away important papers. (Just ask my husband. I make him crazy with this talent of mine). Of course, when you’re an adult you can’t just throw away every single paper that comes through your house. It’s just not a good idea and could lead to some trouble down the road. The first step of this whole thing is to gather all of your papers. Yes, every paper you can find in your whole dang house. Leave the sentimental things out of it for now (that comes later), but grab each and every important and unimportant-looking piece of paper you can find and dump it all in one place. I chose our dining room table because it’s the only surface large enough to contain all of the chaos. I also grabbed two different paper organizers – Kondo suggests keeping all of your papers in one place, but since I’m starting to have more documents that I need to hold onto for the blog, I figured it would be best to keep blog paperwork and personal paperwork separate. 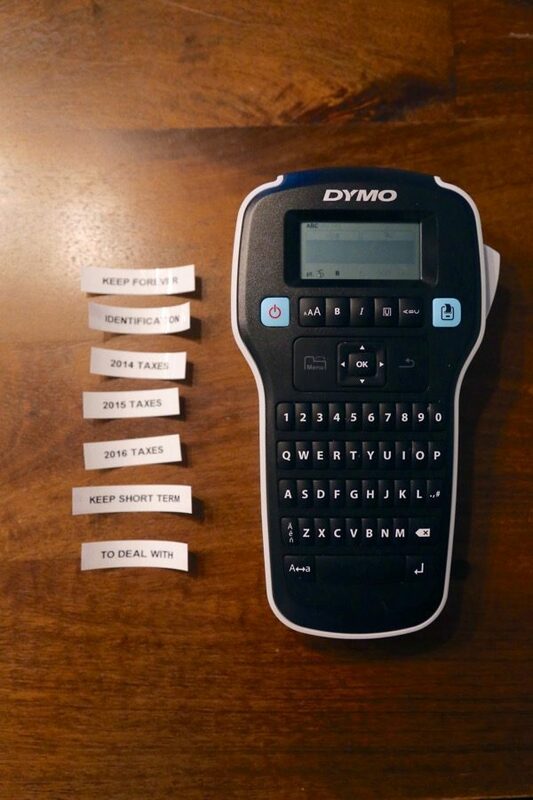 Oh, and I also had my trusty label-maker (seriously, don’t know what I’d do without this thing) and some file folders. Normally when I try to tackle this project I’m tempted to organize into so many more categories than this – house paperwork, car paperwork, tax paperwork, etc. etc. etc. But doing things this way meant that I was thinking much more critically about what each thing was and what needed to happen with it, which I think will be key to keeping this system in check! 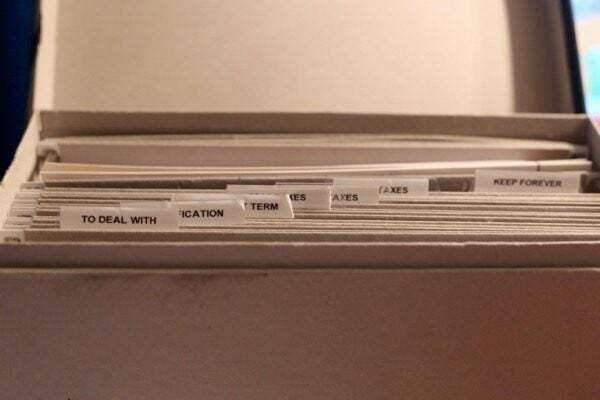 This will happen naturally to some extent as you organize the papers (anything that doesn’t fit into one of the three categories can be tossed!) but I went through each of the three stacks one more time once I was finished categorizing to make sure that I didn’t miss anything that could be shredded or thrown away. This is where I had to pull Corey into the process and have him help me out – I’m a big-time purger when it comes to papers, but he was an accounting major in college and is much more careful than me. 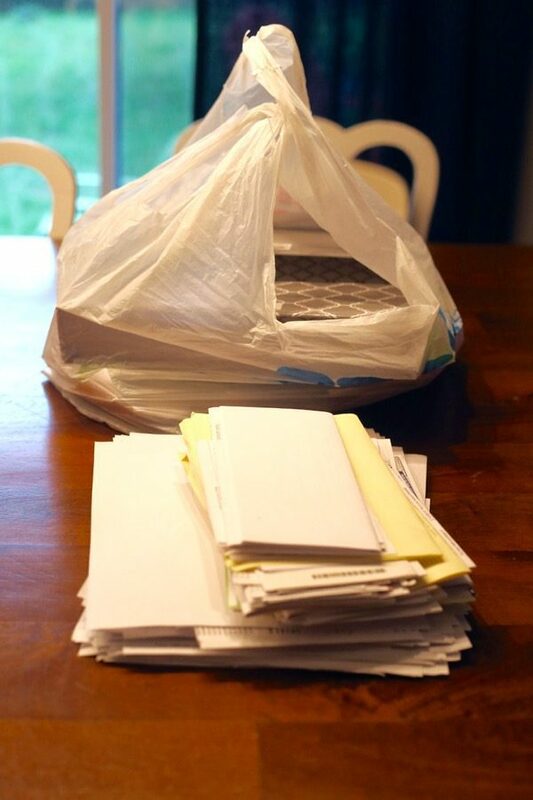 If he had it his way we would pretty much never throw paperwork away…we settled on a compromise of keeping the last two years’ worth of tax info, and I tried really hard not to argue about other paperwork that he felt was important and I didn’t. In the end, we had quite the stack of trash and shredding, so I’d say we did okay! Next up was to label my folders in our paper organizer. I stuck pretty much to the categories I sorted my paperwork into, with the added division of tax info for each year so that I can easily purge it when the time comes. I’m always inclined to label and file into super specific categories (like home, insurance, receipts, etc. ), but this exercise helped me to re-think and simplify my categories, and I really think it will be just as easy to find what I need! I moved our filing box to a more central location. Now that I have a desk area, I am keeping both our main filing box and my blog filing box right next to my desk – they’re out of the way but still very easy to access. We used to keep our paperwork upstairs in the guest room and it was always such a pain to access it when we needed it. I think this simple shift will go a long way to helping us maintain it. I got rid of any other paper storage systems. It sounds counterintuitive, but we used to have a little paper sorting system that attached to our fridge where we could drop papers off until we dealt with them later. But guess what happened? We never dealt with them. They would just stay in that little file for forever because they weren’t in our way. Now, we have absolutely nothing to organize and store our paperwork other than our simple filing system, which means all incoming paper will have to be dealt with quickly or else it will just be floating around the house driving me crazy! 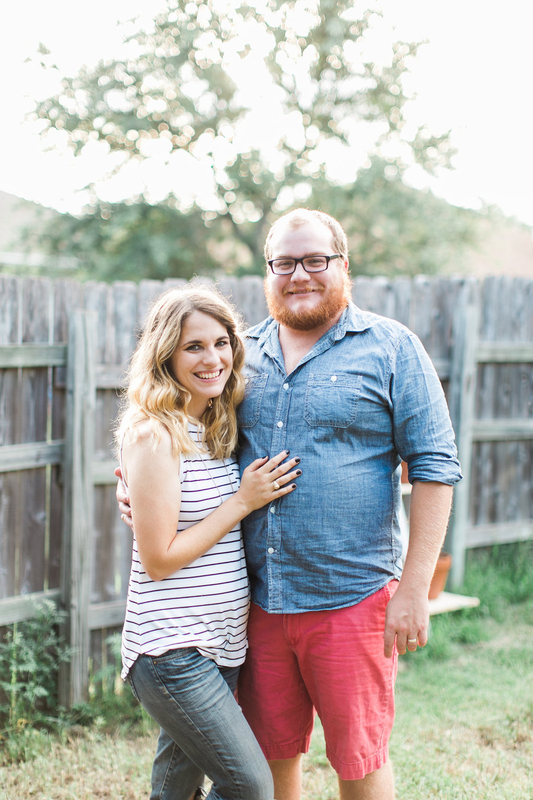 We set up weekly “business meetings.” I have a recurring alarm that will go off on my phone every Sunday afternoon during Jackson’s naptime – this will be when Corey and I sit down and review our budget, look at our finances, and deal with any paperwork that we need to address. Having a weekly date like this helps us to not put it off and say “we’ll do it tomorrow” and that little alarm going off every week is a really easy way to keep us on track. Now, all we have to do is grab the “to deal with” file out of the box, address anything that needs to be addressed, and go about our day! 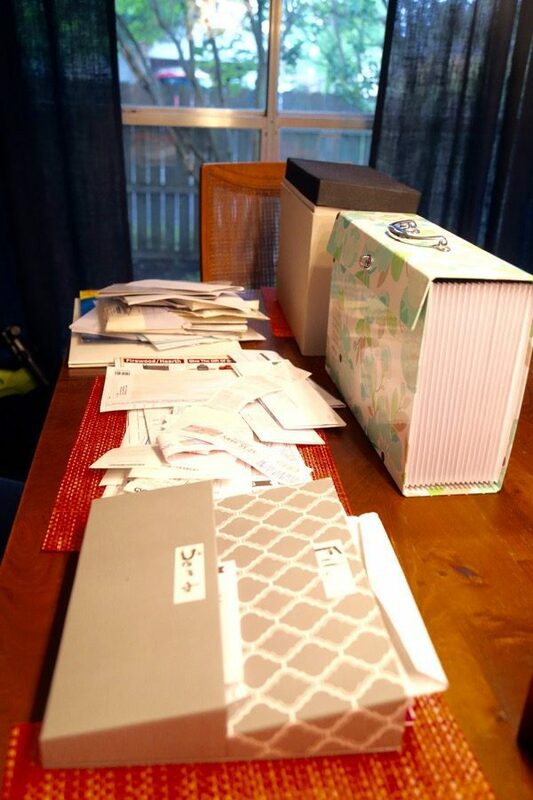 It felt so good to organize paper clutter in our house. Paper clutter is something that makes me absolutely crazy, so I’m thrilled to hopefully have it taken care of once and for all. 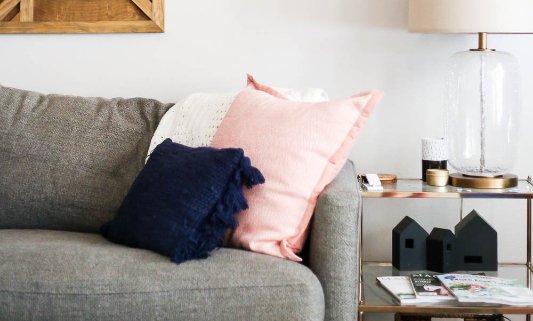 Want more tips and tricks for organizing your home? 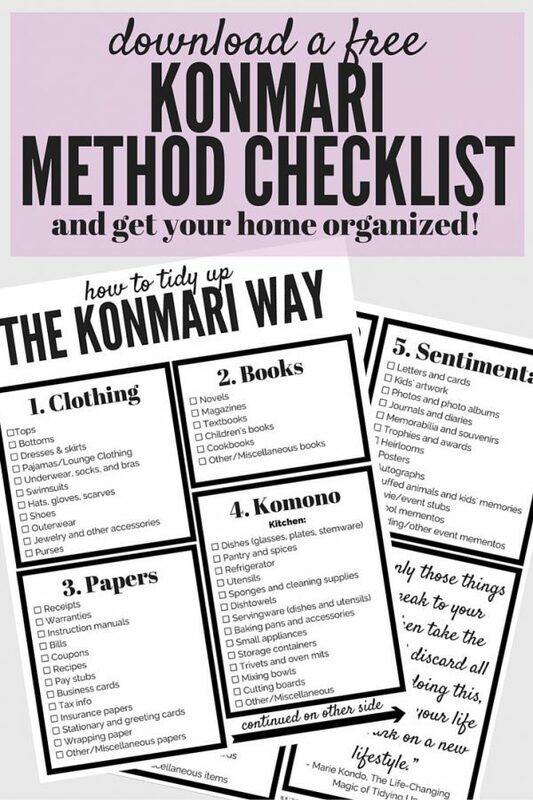 Here are the rest of the posts in our KonMari Organization series! DON’T FORGET YOUR FREE EBOOK AND ORGANIZING CHECKLIST! If you need some extra help going through this process, I wrote a quick ebook and checklist to walk you through the whole thing in just 30 days. All you have to do is sign up for my newsletter and a link will be automatically sent to you when you confirm your subscription! But wait! There’s more! (Sorry, can’t help myself). Wanna dive in and get your whole home organized? Sign up for my FREE e-mail organizing challenge and you’ll be on track in no time! Congrats – you’re officially a part of my circle of newsletter BFFs! Check your email for your printable cleaning schedule! Hi, your plan is helpful. Just a comment that the IRS asks us to keep tax records for seven years. I personally had the IRS notice an error from three years previously, and my records helped sort it out (I got some money back!). I don’t think two years is enough. Thanks for the other tips! Hi Rebecca – good note! The official recommendation is to keep them for 3 years, but up to 7 years if there are potential errors or issues. But, it’s good to know you got extra money, and that’s definitely a good reason to consider keeping more! Hi Theresa! I do not – I typically don’t keep manuals around, because most related information can be found online these days. Many manufacturers have their manuals on their website for download! However, if there were one I wanted to keep, I would just add it to my “keep long term” folder. As for bills, no I do not. We do the vast majority of our bill paying online, and it’s easy to find bills and statements on any companies’ website, so there’s no need to keep them around. Hi, great video. I’m still unclear how to handle papers for work. I’m an author and have stacks of articles for research but I never am able to organize them. HELP ! i have looked at 20+ articles and all are pretty much the same. Action/File/Toss. But I need help with miscellaneous papers–reference/pending–I have several papers that are pending and reference or I just don’t know how to categorize them–bank/taxes/medical/kids school stuff-those are straightforward and basic, but can’t find anything about pending or reference. 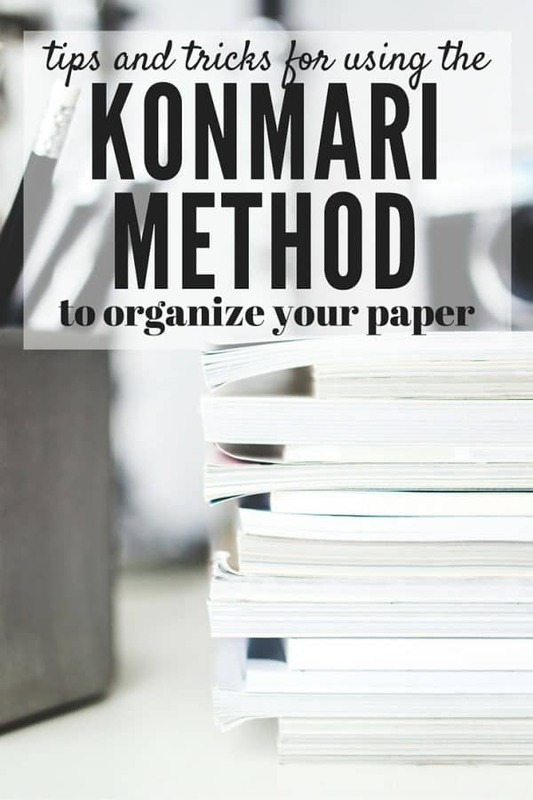 Do you have any suggestions for how to organize those types of papers? Thanks and very nice website! Any pending papers went into the “keep: short-term” folder for me. We also keep a separate “taxes” file in addition to the categories Kondo recommends. I am currently on the ‘Paper’ stage of Marie Kondo’s The Magic of Tidying Up and came across your blog. I was also searching for a vertical file and ideas on desktop organization from others who also had read this book. Just as sparingly as the author relegated paper sorting, she only devoted a few pages to them in her book. Hi Marianne – I don’t know how well the photos actually convey the system I used here, but we’ve actually shifted just a bit since this post was written. We now organize our paper in a one-drawer file cabinet system and just use the drop-in folders for each category Kondo recommends. We also have a small metal box in our kitchen to drop important papers that come in the mail, etc. It works well for us, as long as we stay on top of it! OK, your paper pile is SO MUCH SMALLER than mine!! Ha ha! I am going to need like a 4-day, holiday weekend to deal with all of my paper at once. Thanks, though, for these helpful tips! I am going to find a weekend that I can tackle this monumental project. I was able to do the clothing and books pretty quickly; finished them within a few hours. Paper, though. Ugh! I am a complete hostage to paper. Hahaha I’ve always been big on throwing away papers as much as possible! 🙂 Good luck!! I hope that you are having a wonderful summer, Amanda as I send my request to you for the download package you created about the ways of the Konmari Method keeping our homes instead of them holding us hostage, lol. Would you be very kind to send it to me as I am not sure where some of my files went when I had to get a new laptop. Seems like socks to me, every once in a while one wanders off never to be found again, bwahahaha. I honestly do not mind the loss because I still have my photos of our life and that is what it really is all about, I reminded myself, firmly. Thank you kindly for doing this for those of us who had received them before. I am so with you on getting rid of all that paperwork. It just adds up so fast! The last time we did it we had papers covering not just our kitchen table but also the entire living room floor, lol. I am all about only keeping the bare minimum! Yeah, the first time we did it we had a ton too. Paper clutter is the absolute worst!